The full 40 factory presets from Ensoniq’s wonderful early-digital synth • Aggressive pianos, shimmering stereo synths, thick chewy basses, airy pads • Simple but powerful control set including Tilt EQ, Filter and Amplifier so you can craft your own sounds • Velocity-to-volume and Velocity-to-cutoff retrofitted for even more expressive options • Classic sounds for 20c per patch! The Ensoniq ESQ1 was the precursor of the SQ80, which added more digiwaves for a wider sound palette; but the initial set of sound-building blocks is identical between the two instruments, which – rather neatly – allows ESQ1 patches to load perfectly happily into the SQ80. And which led us, also rather neatly, to load up the ESQ1 factory soundset on our lab SQ80 for this PatchVault series. 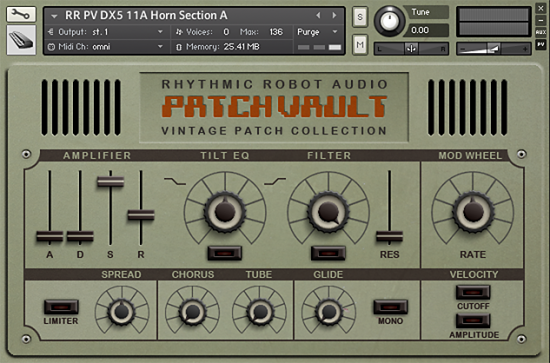 The patches shipped with the ESQ1 are a very evocative snapshot of the mid-80s synth scene. Launched in 1986, this was a machine going head to head with Yamaha’s almighty DX7, but bringing a very different vibe to the battle. Where the DXs were shiny and glassy with their perfectly-formed sine waves, Ensoniq’s take on digital synthery was a grittier, grungier affair which (to our ears at least) both sounds more characterful and sits more easily in a mix. The standout patches are the basses, the synth pads and strings, but there are also some really cool pianos (which would give the Roland D50 a run for its money a year later) and some brassy goodness to be found among the horns too. 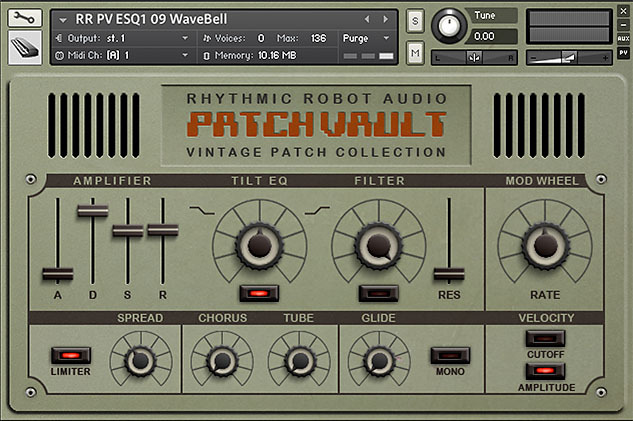 Our PatchVault version brings you the full set of 40 ESQ1 factory patches at a very reasonable cost of 20c per patch – plus lots of tweakability and performance controls to bring them to life. The ESQ1 was an expressive machine that used both stereo and velocity control to great effect, so we’ve been sure to multisample these patches carefully. You don’t, admittedly, get that cool vacuum-fluorescent display; but then, you also don’t get the CLACKY CLACKY CLACKY KEYBOARD that used to drive everyone else in the band mad when you played it. (Ensoniqs definitely won the prize for most insanely clacky keyboard ever.) 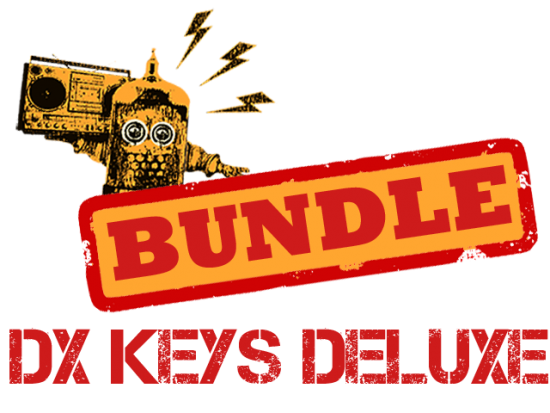 Dial up some synth strings, layer them with one of the airy pads, and you’ll be in retro heaven. Look! No one’s reviewed this yet, so you people must not understand what it is. 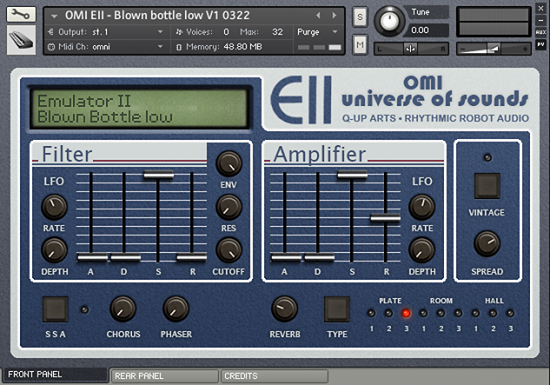 This is all the presets from an Ensoniq ESQ-1. 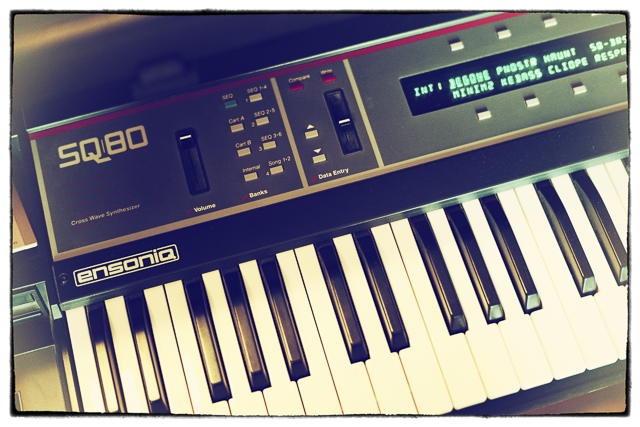 So, if we’d have bought this synth back in the day, 90% of us would have just used THESE EXACT SOUNDS because who ever makes changes to the presets? So, get this. The chorus, tube, and tilt EQ’s are nice and simple ways to get the sounds to poke out in a mix, but frankly the sounds don’t need much help in that department. The low sampling bit-rate already does that for you. It’s great.